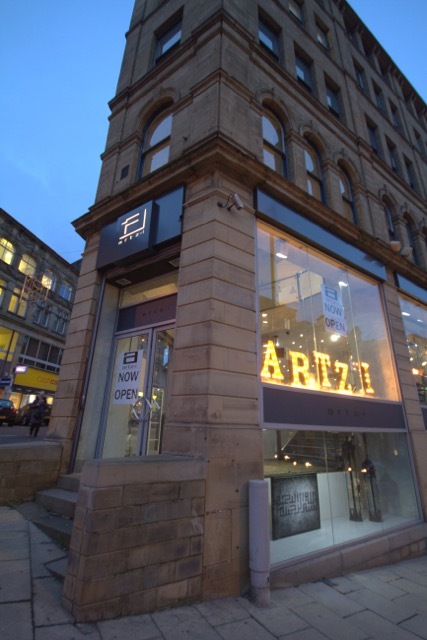 So it was out of sheer curiosity that I decided to walk into Artz-I a new shop in the heart of Bradford town centre close to the up and coming Sunbridge Wells, Bradford City Park and the Iconic Mirror Pool. Standing at the corner of Sunbridge Road like the bow of a ship, like an ark, a sanctuary in a turbulent world, I walked in and the soft eclectic tones of classical music, jazz and blues pulled me along the gift shop bathed in natural light softened with a grey paint wash on the walls, with glass and ceramics. At the centre is an eye catching hand crafted tanned leather sofa that would complement any Manhattan penthouse or boudoir. Wow! This is cool and trendy stuff am I really in Bradford? The music and chrome of the stairs draws me up and my heart smiles at the local hand-crafted arts, pieces of beautiful wood, ceramic tiles and vivid yet calming colours of Anatolia and Istanbul. 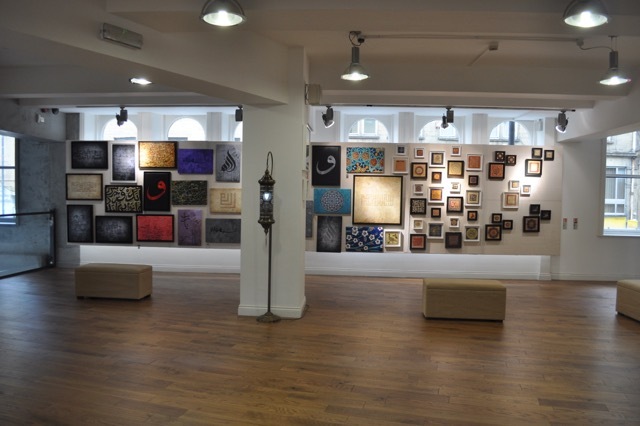 Traditional and modern calligraphy on canvas and sensuanl lighting that brings out and subtly defuses the spiritual endeavours of the artists who poured their souls into the art pieces. One can sit and or look up close. In the background the music continues to play and then one begins notice the Orient and Occident fusing together. I’m drawn downstairs to try to understand what’s going on and whether this is an independent store or part of a chain. 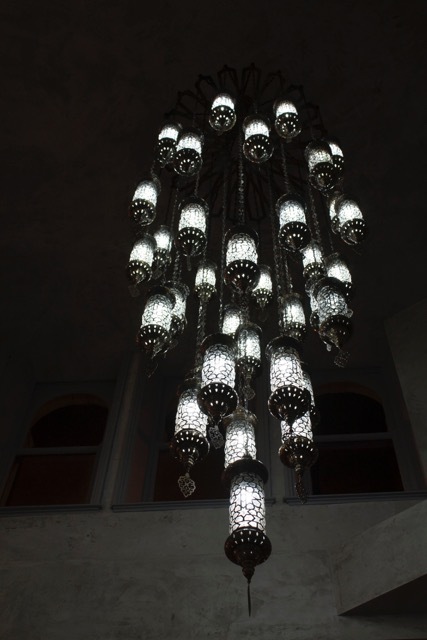 I notice that stairs near the entrance connect to another room in the basement walking down one sees the impressive yet discrete Turkish/Moroccan chandelier hand crafted metal work. 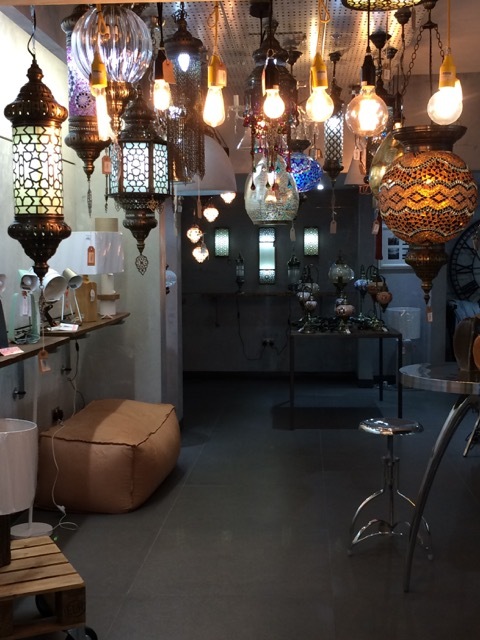 The basement houses Turkish lights, soft furnishings, single sofas, chairs and dressing tables. Sitting down briefly I begin to reflect and realise that actually this business is not just a hip stylish, new ‘life style and gift store’ it’s actually the best example of an integrated space of culture, spirituality, business, architecture and interior design that I have seen. It’s a fusion between the Occident and Orient. Handicrafts by gifted local artists of Muslim and diverse backgrounds. The business Artz-I is an ark that carries safely our optimism that Bradford as a city can regenerate itself through successful fusion of diverse cultures and spirituality. I finished a tour of the city by a person wanting to find answers to the issues of integration, identity and belonging. I am glad to say that it wasn’t just me that experienced the revelatory experience at Artz-I. The ‘I’ in Artz-I is not about the ‘self’ or the ‘ego’ in my view it has successfully described the ineffable need of human beings to find meaning and comfort. I would urge all to come experience and also spend in Artz-I and learn some valuable lessons in how to fuse and integrate cultures, spirituality, craft-work, art and design. I just can’t wait for the planned coffee and eatery to come!